This week's teaser comes from Coin Heist by Elisa Ludwig. It reminds me a little of the movie The Perfect Score with Chris Evans. Group of kids with different social statuses come together to commit a robbery and become friends in the process. 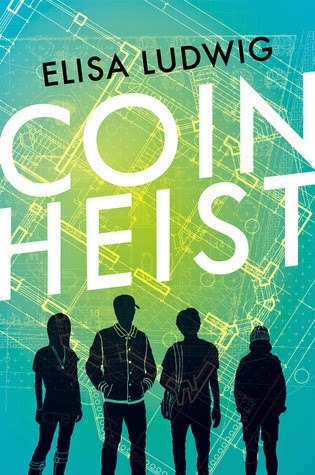 Even though the premise of Coin Heist seems like it could be cheesy, the multiple narrators pull you into their lives making teenagers robbing the Mint seem like a necessity not a joke. It's a short, light read, but I love each of the narrators so much! I picked this quote because it made me snort,. Possibly the best use of the word bimbo I've ever read, and it's about a guy! Plus it's FREE as of this post, so go get a copy for yourself right now! “I'd never really seen this side of him before. "That's actually pretty thoughtful." "You sound surprised," he said. For more about Coin Heist check out these sites! Summer Book Crush: Book Boyfriends Are Here!